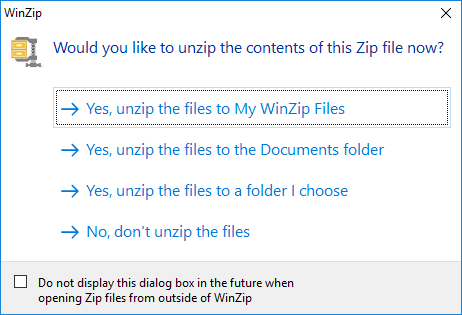 WinZip - Knowledgebase / WinZip / Zipping and Unzipping / How do I compress the contents of a folder and later restore it? Archived articles are available that apply to earlier WinZip versions. Windows XP users can refer to either to find Legacy interface instructions. The steps you take to zip folders and their contents will vary according to your preference. For additional information on this subject, please see Related Articles at the bottom of this article or learn more about how to zip files. The Zip file pane now shows the folder you added. You can deselect the folder in the Files pane and add more to the Zip file or you can make choices in the Actions pane to convert, save, and/or share your Zip file. 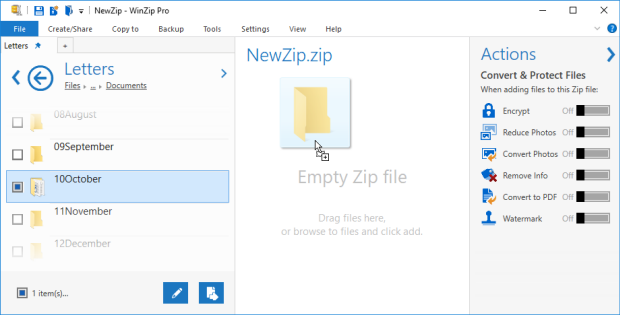 If you have configured WinZip to use the Classic view, you will need to work with the ribbon and you may need to have a Windows Explorer folder window open. The archived article for WinZip 17 or WinZip 18 can be used as a guide in this case. 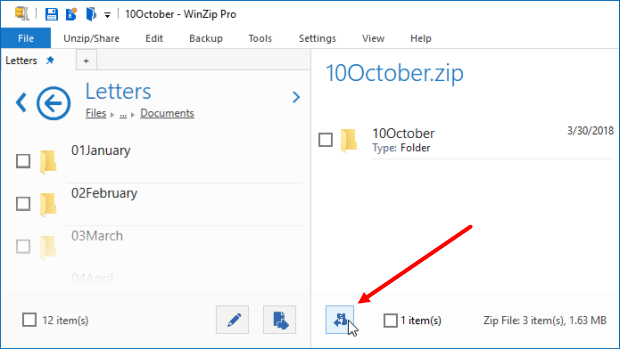 Note: The context menu entry Replace files with Zipped files creates single, individual Zip files in the same location as the selected files, even when a folder is selected. It does not save folder information inside the Zip files. You also have the option to click Zip and Share (WinZip Express), which will open WinZip Express for Explorer. This also will zip your folder, but will give you many additional options for naming, converting, saving, and sharing. 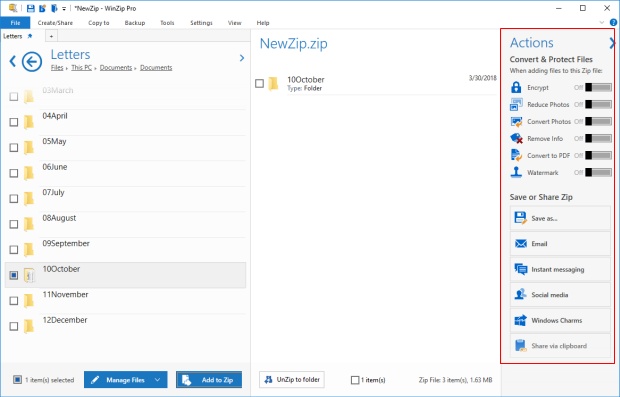 Without selecting any files in the Zip file, browse to and open the folder where you want files to be unzipped in the WinZip Files pane; then click the Unzip to folder button at the bottom left area of the Zip file pane. Note: In Classic view, you can click 1-click Unzip to get the same results as number 2 above. However, before using this method in the Classic view, click the Settings tab and make sure Use folder names is checked in Unzip Settings.